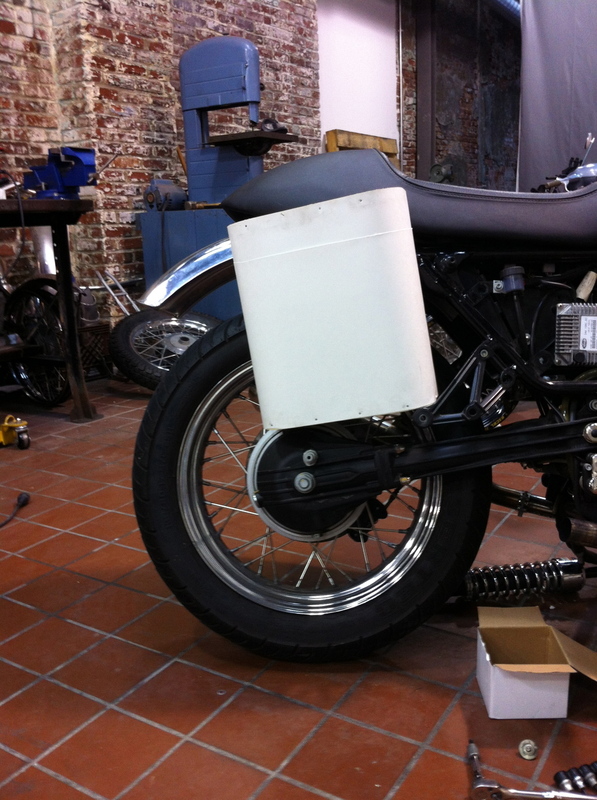 This motorcycle defines simplicity throughout; I designed the panniers for utilitarian function and aesthetic. The V7 Wayward is a refined, compacted, raucous yet mellow machine from Hammarhead Industries. 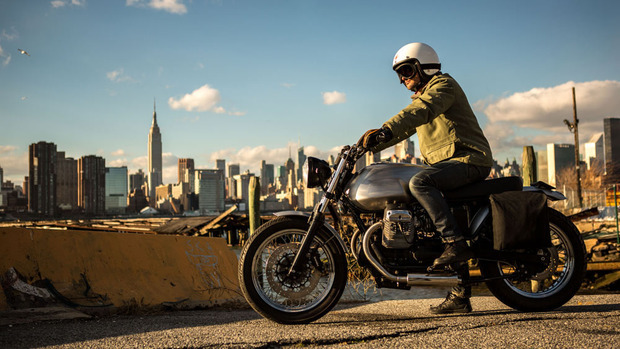 Hammarhead ( HHI ) is a custom motorcycle company based out of Philadelphia, Pennsylvania that prides itself in minimalism. The Wayward exemplifies this fundamental principle through its intent for functionality. 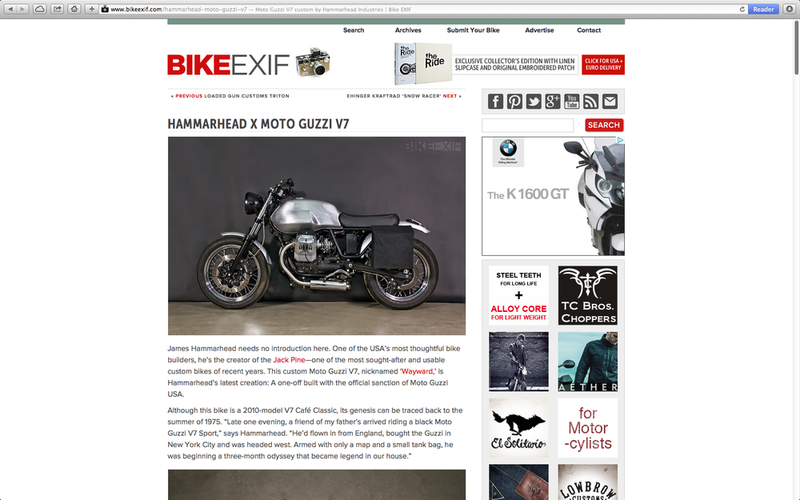 The bike externalized from a story told by James Hammarhead, bike builder and founder of HHI. The story, passed down from James’ father, told of a man on a three month journey westbound; he equipped himself with nothing more than a map, a tank bag, a 1970’s Moto Guzzi V7 Sport, and the clothes he wore the day he departed. We stripped the bike to its essential form, removing unnecessary tabs on the frame and any useless plastic parts. The noisy instrument cluster became a 48 mm speedometer embedded in a clean 7 inch teardrop headlight. Many other components of the Wayward received similar refinement. 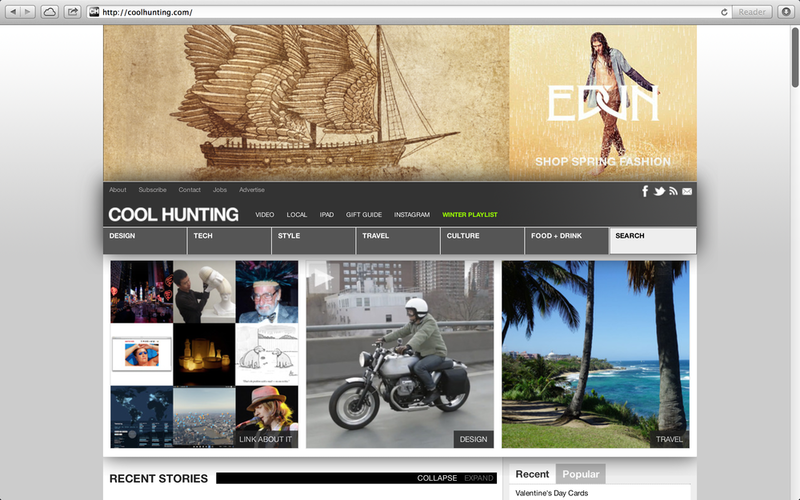 A set of panniers flank the sides of the Wayward with complimenting minimalism. 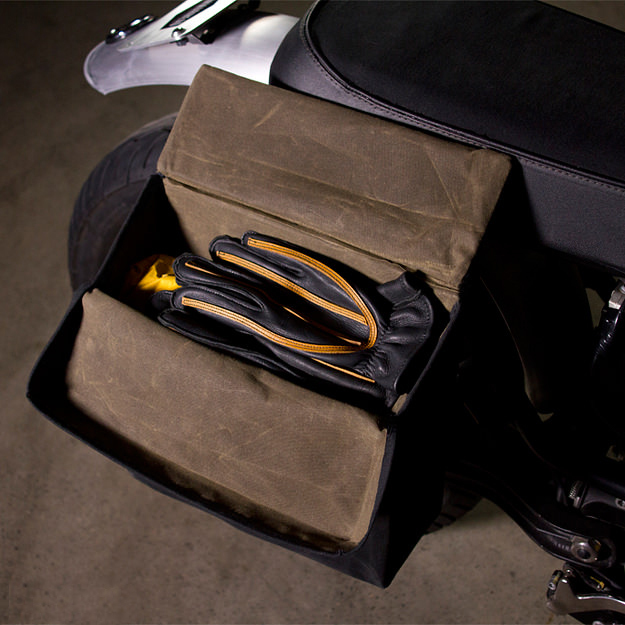 The tall, rectilinear shape with angled top entry evolved out of research of bags from the 1950’s; the panniers feature Lift-The-Dot fasteners commonly found among World War II military gear. 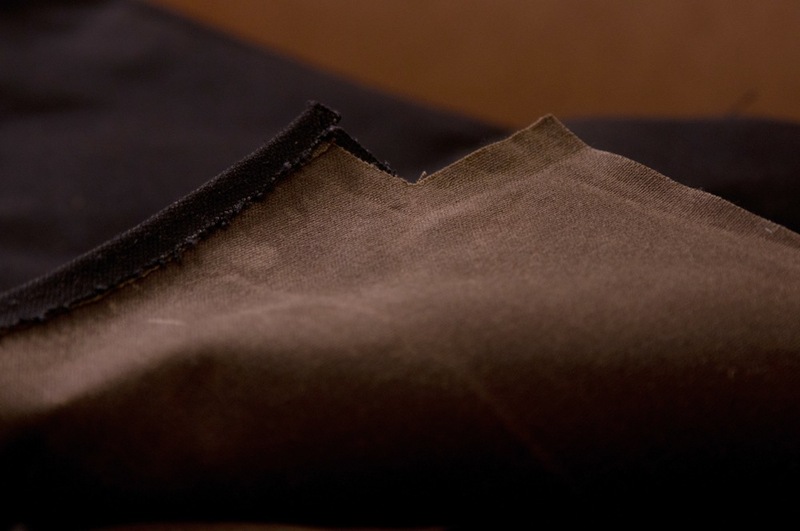 Waxed cotton envelopes the form to shield it from common weather and road elements. 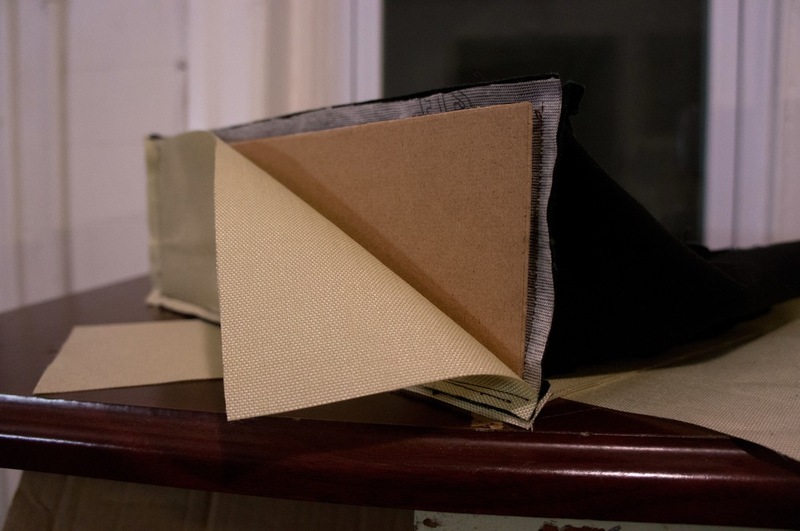 A second layer of waxed cotton lining the interior and triple stitching throughout the construction further ensure the durability of the bags. An internal aluminum panel system creates rigidity while on the road and allows three points of contact to the bike for mounting. The panniers are capable of about 16 liters of storage providing the necessary amount for a laptop and work gear, as well as an outfit change for that impromptu night out. They encourage the harmonious flexibility from the chaotic work week to the weekend getaway. Internal flap provides extra security from outside elements and fallout. Early prototype with internal framing. Prototype next to a model of an L shaped aluminum frame. Prototype displaying rounded edges on the sides. The height is adjustable to better determine size. 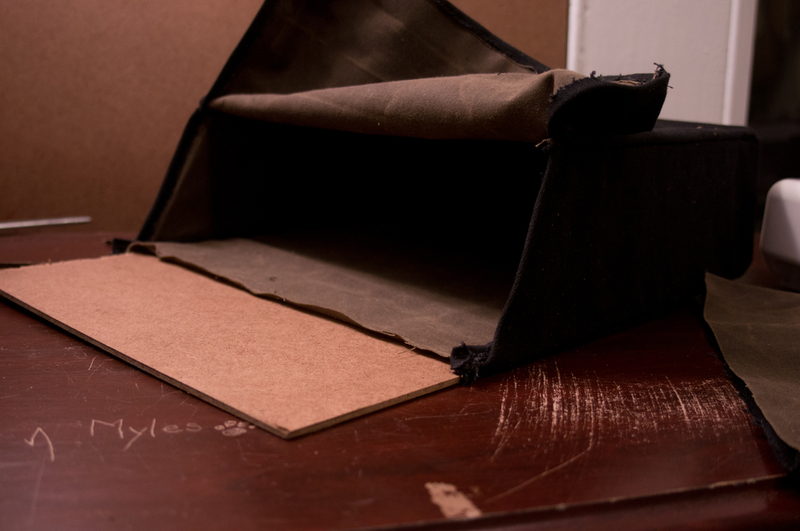 Cardboard prototype with curved top flap. Reinforcement and limit to the size of the opening. 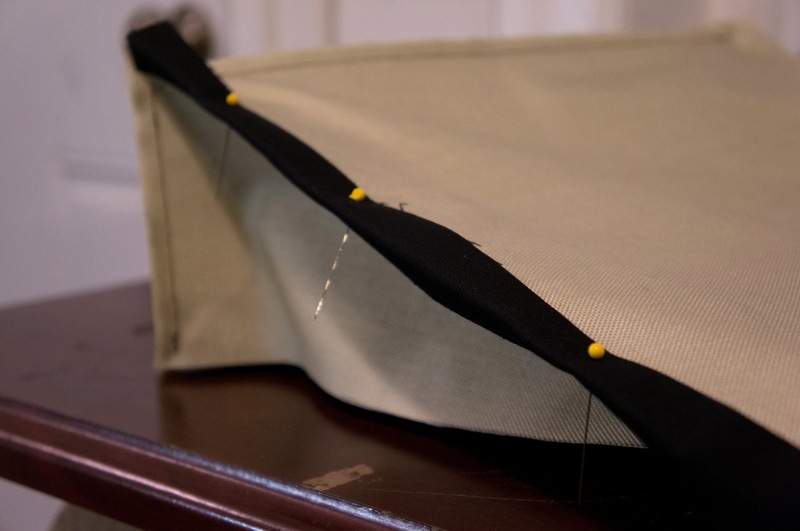 Dart for the overlapping and fastening area of pannier. Internal paneling matches each pattern piece. Fastener on the outside vs bare minimum. Testing a Fidlock magnetic fastener. First installment of bags for a test ride. 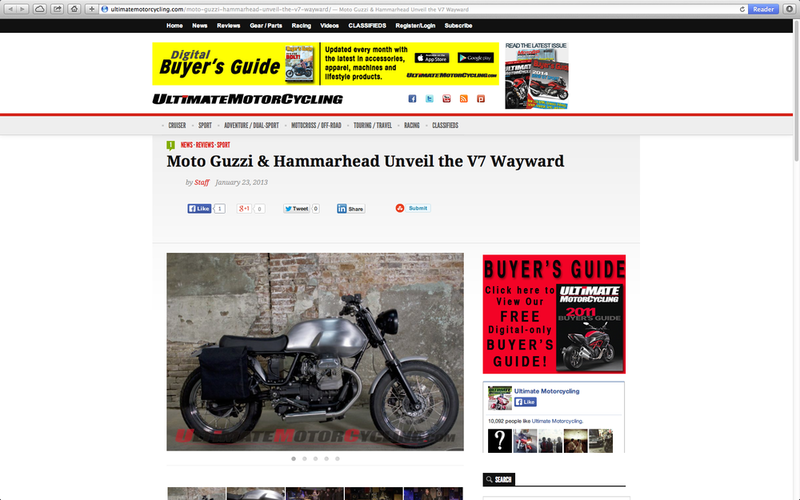 The V7 Wayward displayed at the "Wayward Bound" release party hosted by Moto Guzzi at Ace Hotel in NYC.